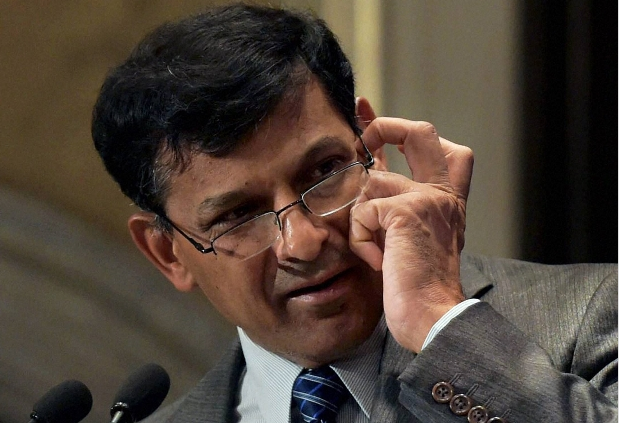 Raghuram Rajan, Reserve Bank of India Governor, on Saturday said he intends to step down at the end of his term on September 4, to return to academia. Here is the full text of his message to RBI staff. Today, I feel proud that we at the Reserve Bank have delivered on all these proposals. A new inflation-focused framework is in place that has helped halve inflation and allowed savers to earn positive real interest rates on deposits after a long time. We have also been able to cut interest rates by 150 basis points after raising them initially. This has reduced the nominal interest rate the government has to pay even while lengthening maturities it can issue – the government has been able to issue a 40 year bond for the first time. Finally, the currency stabilized after our actions, and our foreign exchange reserves are at a record high, even after we have fully provided for the outflow of foreign currency deposits we secured in 2013. Today, we are the fastest growing large economy in the world, having long exited the ranks of the Fragile Five. We have done far more than was laid out in that initial statement, including helping the government reform the process of appointing Public Sector Bank management through the creation of the Bank Board Bureau (based on the recommendation of the RBI-appointed Nayak Committee), creating a whole set of new structures to allow banks to recover payments from failing projects, and forcing timely bank recognition of their unacknowledged bad debts and provisioning under the Asset Quality Review (AQR). We have worked on an enabling framework for National Payments Corporation of India to roll out the Universal Payment Interface, which will soon revolutionize mobile to mobile payments in the country. Internally, the RBI has gone through a restructuring and streamlining, designed and driven by our own senior staff. We are strengthening the specialization and skills of our employees so that they are second to none in the world. In everything we have done, we have been guided by the eminent public citizens on our Board such as Padma Vibhushan Dr. Anil Kakodkar, former Chairman of the Atomic Energy Commission and Padma Bhushan and Magsaysay award winner Ela Bhatt of the Self Employed Women’s Association. The integrity and capability of our people, and the transparency of our actions, is unparalleled, and I am proud to be a part of such a fine organization. Colleagues, we have worked with the government over the last three years to create a platform of macroeconomic and institutional stability. I am sure the work we have done will enable us to ride out imminent sources of market volatility like the threat of Brexit. We have made adequate preparations for the repayment of Foreign Currency Non-Resident (B) deposits and their outflow, managed properly, should largely be a non-event. Morale at the Bank is high because of your accomplishments. I am sure the reforms the government is undertaking, together with what will be done by you and other regulators, will build on this platform and reflect in greater job growth and prosperity for our people in the years to come. I am confident my successor will take us to new heights with your help. I will still be working with you for the next couple of months, but let me thank all of you in the RBI family in advance for your dedicated work and unflinching support. It has been a fantastic journey together! Now the question is how market is going to react on this confirmed Rexit news and possible Brexit week. "There was a lot of faith among investors that the governor would continue in office and based on that they have made investment decisions. So the concern was that if investors were disappointed, you would see capital outflows taking place, the delta from no re-appointment is negative in the market," said hours before RBI Governor's announcement. The biggest issue of Rexit would be the redemption of the Foreign Currency Non-Residential (FCNR) bonds issued by him back in October 2013 to protect the rupee from its worst crisis in decades. Those bonds are due for redemption and the currency market is due to face an outflow of $20 billion, which will put intense pressure on the rupee. MeanWhile, BJP MP Subramanian Swamy, who demanded sacking of RBI Governor Raghuram Rajan, said his decision not to take a second term was good because he has realised he would not get another tenure. "It (Rajan's decision) is good. The reasons I had given (against Rajan's continuance) were all valid. He has realised he would not get a second term. That's why he has made a statement himself"